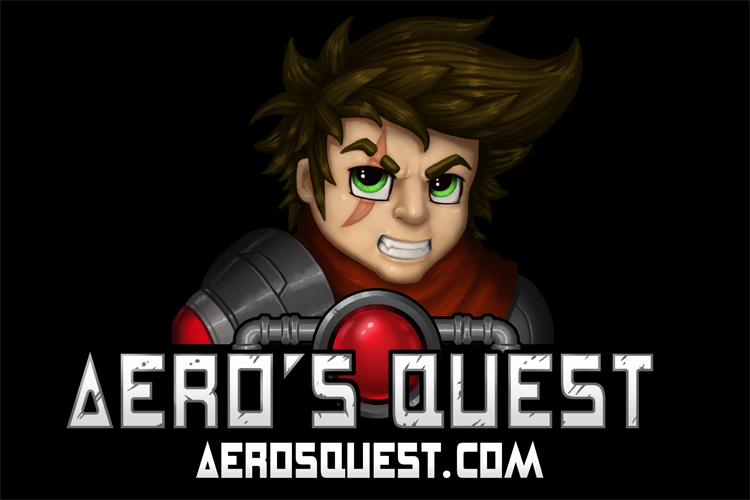 When first approached to work on Aero’s Quest I had no idea what it would become. It was a prototype put together with various elements. Yet I could see immediately it had the potential to have a very interesting visual art style. An evolution from prototype to cohesive design. One that a player could get lost in. A lot of discussion and concepting took place at the very start of the project. As an artist in the industry I’d never taken on the task of doing everything visually for a project. Yet my experience let me take on the task of wearing many hats. Allowing me to think of what needed to be done from every angle at an early stage. I had to approach the game as an concept artist who wanted to make the game visually interesting. I had to sit in the chair of the art director to manage when and where the art could be best for performance. I had to think as a UI artist to determine what would be visually clean and functional. Lastly I had to work as the 2D illustrator who builds the in game assets from world to world. A large task for one person to take on but a challenge that would be rewarding for experience alone! The evolution of the art lead to a world that felt overwhelming. From various environments and obstacles that gave a feeling of Aero (the protagonist) being small. A feeling of him having the odds stacked against him. An underdog story. Something subconscious for a player to grab onto and rise up against. Like a phoenix from the ashes. Face the challenges of each world. To rescue Aero’s beloved Ariella. We still wanted to create a world that was visually fun and interesting with elements described above. So we decided to go down the playful bright vibrant colorful pallet you will find when you look at Aero’s Quest. A cartoon style that players from kids to adults could enjoy! Something that I find consciously eludes to the fact. This game is not a cake walk. As the project approaches an end. I find myself looking at the project as a whole. I am very happy with how the project has come out. I am excited about all we have been able to achieve as such a small team. Its almost overwhelming to think of the milestones that we have accomplished. Not just from what we have done on the project but from the community that is out there supporting us. Milestones we couldn’t have done without the fantastic gamers who took time out of there lives to do so! Helped us get the project greenlit on steam. Those who promoted and shared it with friends. The people who have done interviews and podcasts with us. The articles that have been written. 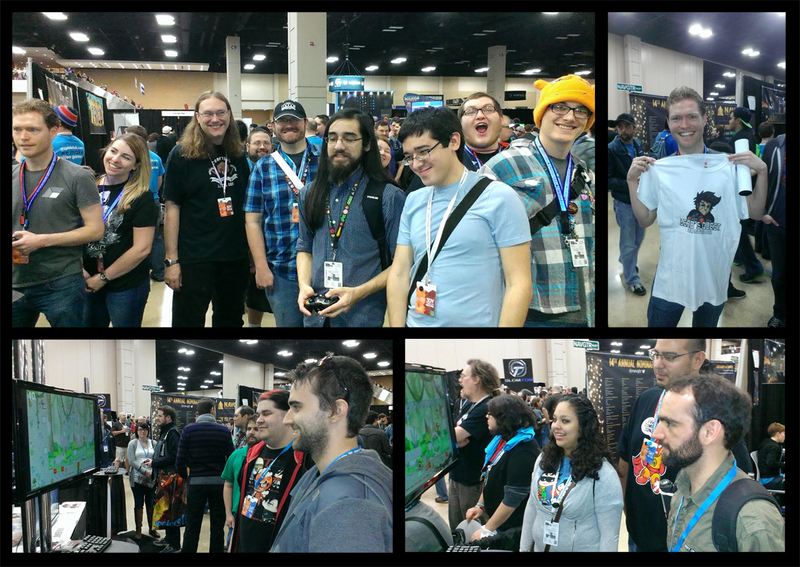 All the players who stopped by at PAX South and played. Pointing out elements that we came back and worked to improve. All of these elements that give me butterflies in my stomach thinking of how amazing you all are for supporting us and our project. I hope that on release. 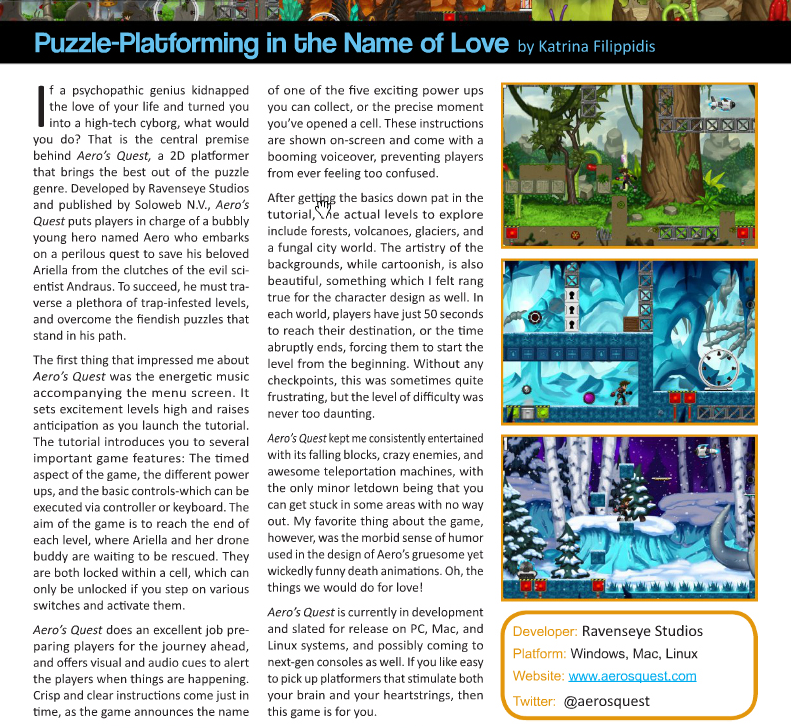 Aero’s Quest is something you can fall in love with!